On taking the scenic route, and a month in radio. Freshers week 2007. I was 21, convinced I was ancient, and wearing what passed for a gothic version of school disco fancy dress. That ill-fated stint of education ended prematurely after a mere three month whirlwind of terrible outfits, fire alarms at 4am, and the joys of writing shorthand to Katie Melua songs. I was studying print journalism even though I’d really wanted to do broadcast journalism, however a nightmare admissions interview had put paid to that. The hotel room that I’d booked for a pittance the night before contained a lumpy bed and a broken TV. This was before iPhones were A Thing. I can just see the horrified faces of the Freshers of 2015, there was no Snapchat, no Whatsapp, no Twitter! I’d signed up to Facebook three months before, and still used a dictaphone with full sized cassette tapes. I had a crappy flip phone with no mobile internet connection, and the interview was at 8am and no shops were open for me to buy a paper. I walked in to the assessment room. A brusque greeting, followed by “What are today’s top news stories?” “er……”. I wanted the ground to open up. I knew the golden rule of knowing what the news was! They weren’t impressed. I vaguely remember it being something about Gordon Brown. I was told the broadcast course was full, but was offered a place on the print course, despite having already been working as a freelance journalist for 8 years by this point. I accepted it anyway, desperate for change. The house I was in made me miserable, which just compounded the fact that my heart wasn’t in it. I’d enviously watch the broadcast students as I wandered off to a shorthand seminar. Fast forward to 2015, at the age of 29 (and now feeling younger than my years!) and I’ve been up to my ears in packing boxes as I move to Nottingham to a houseshare with my boyfriend and one of my closest friends, and I’ve left my day job after nearly 6 years there. I’ve been making plans, buying enough stationary to start my own branch of Paperchase, and trying to remember various drinking games. It’s been an excellent month for radio, I was thrilled to be invited in to shadow (sit and watch) The Jeremy Vine show at BBC Radio 2. Jeremy is off bedecked in sequins while on Strictly Come Dancing, so Paddy O’Connor had stepped in to cover. It was fascinating to see the numerous guests, in the studio and on the phone. There was also a piano donated by Elton John in the reception. Not bad for a Thursday, so thanks to Tim J and Tim C for having me in! The week after I spent a morning at Capital FM with the Dino & Pete breakfast show, watching the sun rise through the window at 6.30am and then helping out with the social media/Twitter and watching the show go out. They’re a great team and hilariously funny, and I hope to be back there again over my course. Below you can witness my irritatingly perky 6am face. I don’t even need caffeine, I’m just naturally annoying. I’ve also spent a day at Lincs FM on their news desk, editing some clips from a Battle Of Britain interview and making calls to chase up stories. It was my first experience of a proper news desk and it’s very different from the shadowing/presenting I’ve done before, so it was invaluable to see. I’m also part way through two weeks at BBC Radio Lincolnshire, editing audio, shadowing reporters, watching the shows go out and calling guests to book them onto the show. Everyone has been really welcoming and kind, and it’s an eye opening experience seeing how much work goes into those hourly news bulletins you hear! 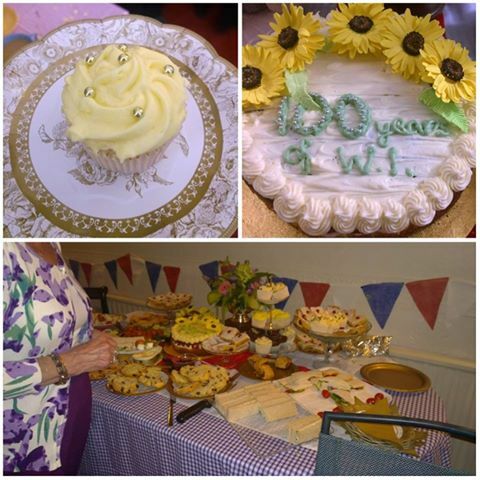 I also shadowed a reporter to a tea party celebrating 100 years of the WI, we met some incredible ladies and they had made some stunning cakes. Fingers crossed it continues, and my Linkedin will continue to grow. I’ve been really lucky and grateful that people have been willing to give me a chance and invite me in, but it’s taken a lot of hard work on my part too. 8 years on from my failed freshers experience, it’s a totally different picture. I got here in the end, I just took the scenic route. ← Rabbit, rabbit, rabbit: guesting on Radio Newark.